You won’t want to miss this aromatic treatment. It will relieve stress and decrease toxicity like nothing else you can do. It has a wide variety of applications. Each oil or blend produces a different effect. Here are a few of the most obvious. Moisturizing and soothing inflamed skin (like an epsom salts bath when you have chicken pox). A detoxifying bath will ease stress on the liver, the immune system and other organs and help you get over all kinds of conditions more quickly. A relaxing bath will sooth your emotions and help calm you for better sleep. A stimulating or energizing bath using cooling oils like peppermint or hot, spicy oils. These baths can sooth tired joints and muscles. The cooling oils can help reduce fever or cool you off on a hot summer day. The hot oils can stimulate circulation and your body's ability to heal itself. You can use Epsom salts or any other type of salt, coarse or fine. Some recipes call for baking soda to reduce acidic conditions of the skin. All these ingredients are inexpensive and help the oils disperse in bath water so they don't float on the top to create discomfort or evaporate away. If oils such as Peppermint or Deeper float on the top of the water, they can sting sensitive areas of the body as you get in and out of the bath. If that happens, simply use a little carrier oil to reduce the effect. If you have dry skin, you'll want to add a little (a teaspoon) of your favorite carrier oil to the mix so the salt doesn't dry your skin too much. You can vary the water temperature according to the therapy you're trying to achieve. Excessively painful, hot baths are never a good idea. But a comfortable hot bath will activate your pores to help the aromatic molecules flow in and the toxins flow out. As you enjoy your soak, you'll begin to feel a prickly sensation on your back or abdomen. This signals that the flow of aromatic ingredients and toxins is happening. Certain medicines can be administered most effectively in a saltwater bath because they are absorbed more easily and more evenly throughout the body. You’re aromatic bath using essential oils works that way to absorb aromatic compounds. While you are bathing your body will not only be dispersing toxins and absorbing the energizing aromatic molecules through your skin, but it will also be happening through the nose and the lungs. Dermal absorption of essential oils in a bath is one of the most effective and safe ways to use them. Herbalists will go to great efforts to create compresses and tinctures in order to get the powerful molecules of plants absorbed effectively into the body. 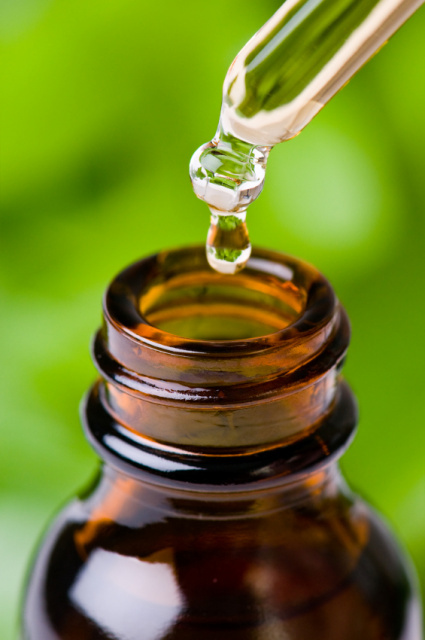 Because essential oils are so concentrated and convenient to use, you can create an herbal tincture that is absorbed extremely well in every bath you take. Try these other oils in an aromatic bath: Eucalyptus, Deliverance, Aspire, Deeper, Peppermint, Heart Song, and Tranquility. If you are ever out of salt, try mixing the oil into a mild shampoo or bath and shower gel before adding it to the bath water. This breaks down the surface tension and allows it to evenly disperse into the water without floating to the surface. As soon as you get out of the bath, be sure to go through your Aspire Wellness Shield (one of our Four Essential Habits) ritual on your neck and chest. Use oils on your feet as well. When you have soaked in a warm aromatic bath like that, your body is a virtual sponge for our wonderful aromatic molecules, especially when your skin is still a little damp. They are absorbed very efficiently and quickly because your pores are open. Diffusing oils in a steamy bathroom is also a great idea because the moisture in the air helps the aromatic molecules navigate more easily through phlegm and absorb into the blood stream in the lungs. You'll want to diffuse oils while you are showering for this same reason.